The GovTech industry is rapidly innovating the way government does business. Cloud-based applications, like permitting portals that integrate online applicant experience with backend databases and workflows, are allowing building and code officials to increase efficiency through easier collaboration and digital reviews. 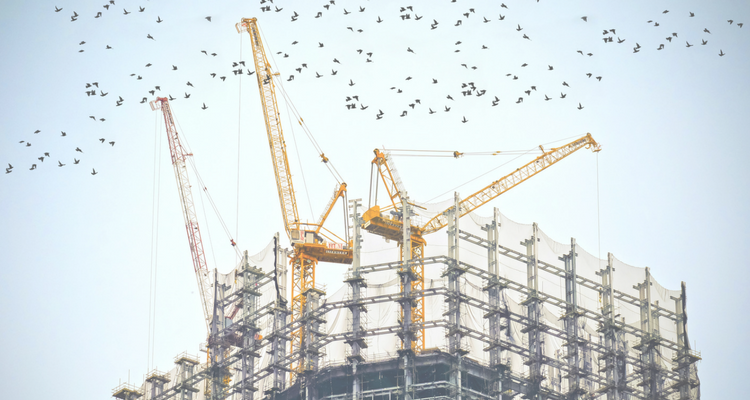 More and more construction companies are also using cloud-based applications to facilitate sharing of information between project personnel and across multiple locations, allowing them to manage projects more effectively in real time. At any point in the process–from the design and plan approval stages through project completion. When plan changes are needed, they can be made and quickly incorporated directly into the workflow, saving time and resources. Those changes can also be shared more quickly with building departments to facilitate the necessary approvals to proceed. Building information modeling (BIM) produces a three-dimensional (3D) digital model that represents the physical and functional characteristics of a building in a way that two-dimensions (2D) can’t. Many building departments now accept digital plans. However, most of the drawings submitted for plan review are in two dimensions – width and depth. BIM adds depth, creating a far more accurate representation of the project capable of revealing issues that might be missed in a 2D drawing. Plans modeled with BIM technology can also be shared among all the parties involved in the project, including the owners, architects, engineers, contractors and subcontractors and in the future, with building officials. Combined with cloud-based technology, BIM can make more accurate information available to building officials in real time with the click of a mouse. As building officials become more familiar with this technology and begin to incorporate BIM models into their digital review processes, building plans and changes that require additional review will be be executed much more quickly. The U.S. Bureau of Labor Statistics (BLS) has predicted that by 2024, the building code profession will grow by an estimated eight percent. With 75.4 million Millennials (those currently about 19-35 years old) in the workforce, there will be plenty of workers to fill these roles. But, with so many Baby Boomers retiring in the next few years, these workers will soon shift the demographic balance toward a workforce that is younger and less experienced overall. Will this be a problem for the building code profession? Probably not. Remember that Millennials are the most tech-savvy generation in history. This should help the profession keep up with new technologies. What it does mean, however, is that building code professionals will now need more educational credentials to enter the workforce. Many municipalities now require at least two years of construction experience, the completion of an apprenticeship or an Associate’s degree that includes courses in areas such as construction technology and engineering technology. Some even require a Bachelor’s or Master’s degree in addition to direct experience in construction. Certifications and continuing education, such as that offered as part of the Certified Code Safety Professional program through the International Code Council (ICC) are also becoming more common. These changes represent positive growth for the profession. In the near future, building departments will not only need a more tech-savvy workforce, but one capable of managing the greater complexities that new technologies bring to the construction industry. Municipalities should be prepared and willing to invest in their planning and building professionals. An ongoing commitment to improving the skills of their plan reviewers and building inspectors will help ensure that building departments and the communities they serve will reap the benefits that new and evolving technologies have to offer.